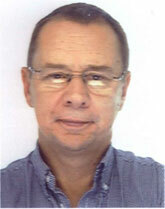 I have been involved with the Offshore Industry since 1974. Most of my time was spent offshore in the North Sea where I progressed to a Construction Superintendent and then to an Offshore Project Manager. This thenled me to form my own company in 1983. This company turned out to be a successful business and today MSS Holdings (UK) Ltd operates Huey 509 on a part-time basis which is mainly weekends or evenings when weather permits. I am a keen aviation enthusiast, interested in all types of aircraft. This interest has been with me since I was a schoolboy. My career in the Seventies and Eighties kept me away from aviation and due to the commitments of running my own successful business, it was not possible for me to fulfill my ambition to fly until 1998 when Joanne, my wife, purchased a flying lesson for a birthday present. "The story starts here". 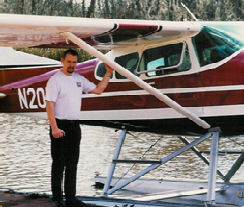 In June 1998 I started flying lessons, which resulted in gaining my private pilot's license (PPL). I soon progressed to other types of aircraft from a PA28 to C172 Floatplane and my favourite, the de Havilland Chipmunk DHC1. However, following the many hours I had spent flying in helicopters while working offshore, my interest in learning to fly helicopters grew. In 2000 I set about restoring an ex-military De Havilland Chipmunk. 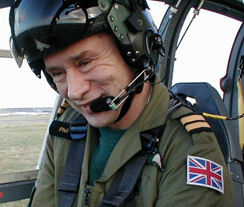 I needed some spares for it, which at the time were only available from the Ministry of Defence (RAF). I attended the RAF base where the spares were available for inspection where I was asked, Would you like to see the helicopters we have for sale. What helicopters! I knew nothing about helicopters at that time, so, as you do, I went to look at them. One month later I attended the auction in London where, successfully purchased the chipmunk spares. At the same time, when the helicopters came up for auction I made a bid, and another bid and another, and oops! I quickly became the proud owner of an ex-military gazelle!!! I went home and said nothing! Two weeks later, the helicopter arrived at my home on the transporter and my dearest wife Joanne was on the hunt for my head! Yes we are still happily married and a great team. That is how I got into helicopters! It took 12 months to get the gazelle airworthy and with the permission of the Ministry of Defence, I was allowed to keep the machine truly authentic and original. 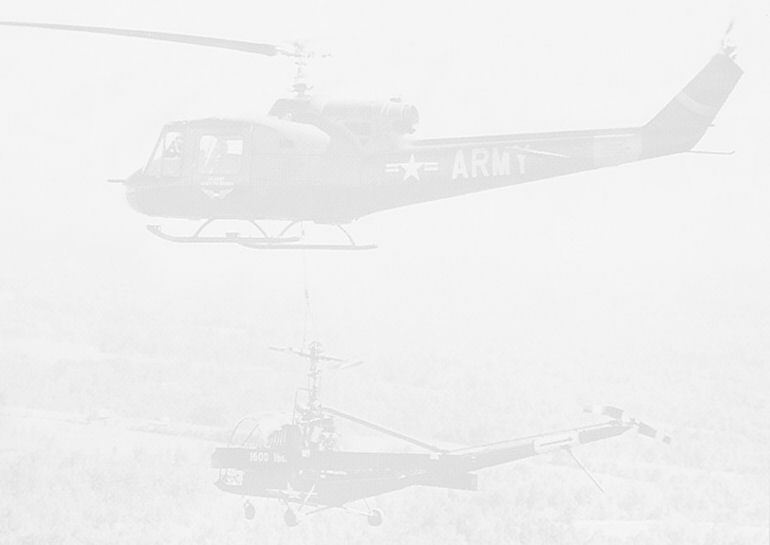 Gaining experience through this, and wishing to develop the operation of ex-military aircraft I decided to investigate the possibility of owning one of the most famous helicopters in the world, a Huey. The Huey is a rarity in the UK, as there has only been one machine previously operated here, which is now on static display at the Army Flying Museum at Middle Wallop. The chance to display this truly famous helicopter to other aviation enthusiasts and the general public is here! 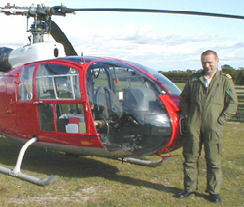 Since obtaining my private pilot's helicopter licence I have obtained ratings to fly other machines such as the Gazelle HT3, SA341/342, Bell 206B and Bell 206 L, and the UH1H. As a student pilot, on a cross country qualifying flight, I got lost and nearly ended up flying in IMC conditions. 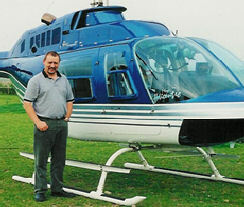 Passing my helicopter PPL (H) test and my helicopter licence arriving in the post. Having a conversation with my co-pilot about a night out with the boys! What I hadnt realized was the button on the RT switch was jammed in the transmit position! Sorry CAA. The local ATC were laughing as well. Any old mechanical equipment, rock music, cycling, walking my dogs, looking after the five, hopefully soon to be seven, llamas I keep at home.